Gorilla trekking in Uganda via Kigali is more cheaper and affordable compared to trekking directly in Uganda via Entebbe International Airport. 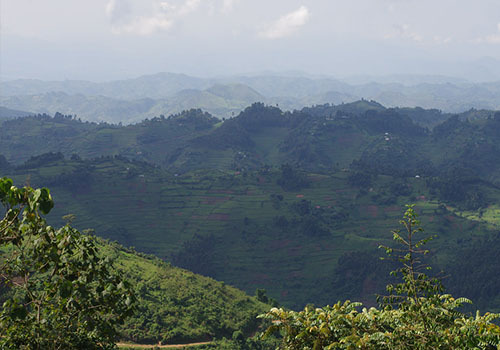 It is more time saving since driving from Kigali Airport to southern part of Bwindi Impenetrable national park or Mgahinga park is only a 4 hours drive which gives tourists enough time to relax and prepare for their gorilla trekking activities at their respective lodges or camping sites. This is far better than flying up to Entebbe International Airport from where it takes 9-10 hours driving to Bwindi Impenetrable National Park or Mgahinga park making the tourists tired and uncomfortable during the trek. Uganda has over 480 mountain gorillas are found in the Bwindi impenetrable forest and Mgahinga national park, which is almost half of the mountain gorilla population. Gorilla trekking permit cost in Rwanda is 1500 USD and is higher compared to the permit cost of gorilla trekking in Uganda which is 600 USD. The difference in prices in both Rwanda and Uganda is due to difference in accommodation. Accommodation in Rwanda is more luxurious and Bwindi Impenetrable National Park is easy to access as well as Mgahinga gorilla park BUT the trekkers trekking in Uganda via Kigali will still pay 600 USD saving 900 USD on gorilla trekking permits. The fact is that this good news is always hidden from the tourists, not even a local guide would disclose this information. 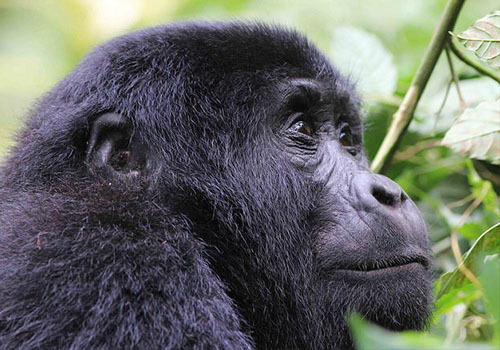 Reasons for gorilla trekking in Uganda via Kigali. It is less tiresome because driving from Kigali Airport,Rwanda via chanika is only a 3 hours drive and from Chanika to Nkuringo is 5-6 hours drive. The majority of habituated gorillas are near the border of Uganda and Rwanda in Sourthern Bwindi and Mgahinga gorilla park. 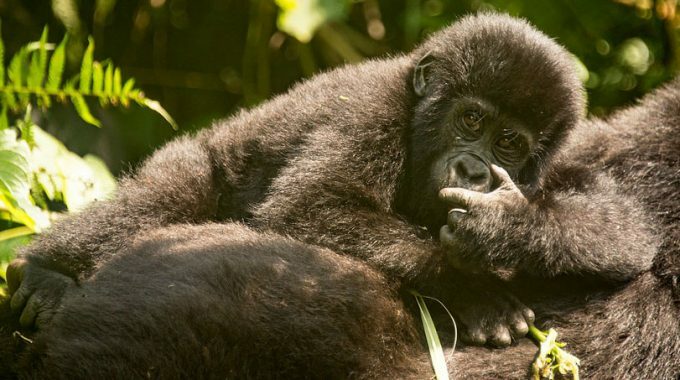 Trekking gorillas in Uganda via Rwanda will save you about 500 USD for a trip flight to Bwindi impenetrable National Park or Mgahinga gorilla park and also you will enjoy the beautiful sceneries along the way from the Airport to the respective parks. After the trip, most tourists love to relax and chill out. Luckily enough Lake Bunyonyi a beautiful scenery with 29 islands and Lake Mutanda both free from bilharzias and wild animals like snakes, hippos and crocodiles. These places are suitable for relaxing since they are near Mgahinga gorilla park and Bwindi Impenetrable National Park. RUSHAGA REGION OF BWNDI IMPENETRABLE NATIONAL PARK.